Invited to join The Vassar B. Carlton Inn of Court as a Barrister. As your judge I will strive for justice, uphold the law and display respect to all of those who come before our court system. I have been a loyal member of our community for over 30 years. I very much enjoy the interaction with people and the reward of listening to their issues and respecting their wishes for a positive outcome. I would continue to use this same philosophy as your Circuit Judge by taking the issues and facts of a case and following through to uphold the law. My most recent endeavor was working as an Assistant State Attorney for the 18th Judicial Circuit in Brevard and Seminole Counties. I handled hundreds of cases representing the State of Florida. I thoroughly enjoyed my time at the office but has to resign in order to run for Circuit Judge. While at the State Attorney's Office I routinely was one of the last people to leave the office. Let me work that hard for our community as your Circuit Judge. 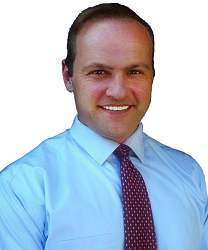 Thank you for your support and please remember to VOTE Matthew "Matt" Aungst for Circuit Judge on August 14th. Education: Melbourne High School, 1972, University of South Florida, 1974, University of Florida College of Law, 1976. Experience: Florida Bar (practicing attorney) since 1977. I have practiced as an assistant public defender, been in private practice, and been an assistant state attorney. I have been a judge for five and one-half years, assiged to the civil division, family division, and the felony division. I have 35 years of experience as an attorney, and the last five of those as a judge. 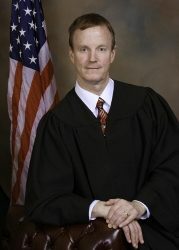 I have handled a wide variety of cases, and have practiced in just about every area of law touched by a circuit judge. I moved back to Brevard County in 1987 with my wife and three children. I live today in the home I moved to in 1969 with my mother, a public school teacher, and my three brothers. I will celebrate my 25th wedding anniversary this year, and am a grandfather three times. I have the experience and temperament suited to a judge, and have demonstrated that during my time on the bench. I have high marks from my colleagues in the Bar, as shown on the Brevard County Bar Association judicial polls. I have been endorsed by Sheriff Parker, the Firefighter's Union, the Orlando Sentinel, Former Congressman Lou Frey, Retired Judge Warren Burk, and many others who are listed on my website, keepjimearpjudge.com. I am true to the law, and strive to do justice to every case, every day, and to be certain all who appear before me have a fair hearing.